There are few sights more impressive than an army of High Elves preparing for battle: ranks of white-garbed soldiers in close formation alongside magnificent knights, mages, dragons and phoenixes. Over the long millennia of their existence, the High Elves have mastered the arts of infantry, cavalry and archers. 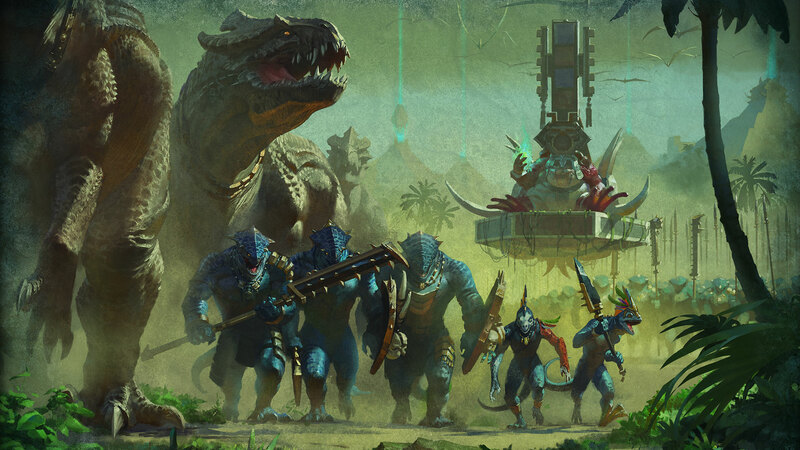 It’s hard to break a line of Lizardmen, that combines club-wielding Saurus infantry, huge numbers of agile Skink skirmishers, and terrifying dinosaur-like Stegadon, Bastiladon and Terradon. Lizardmen can also perform rites to recruit Slann Mage-Priests, toad-like creatures with magical abilities. 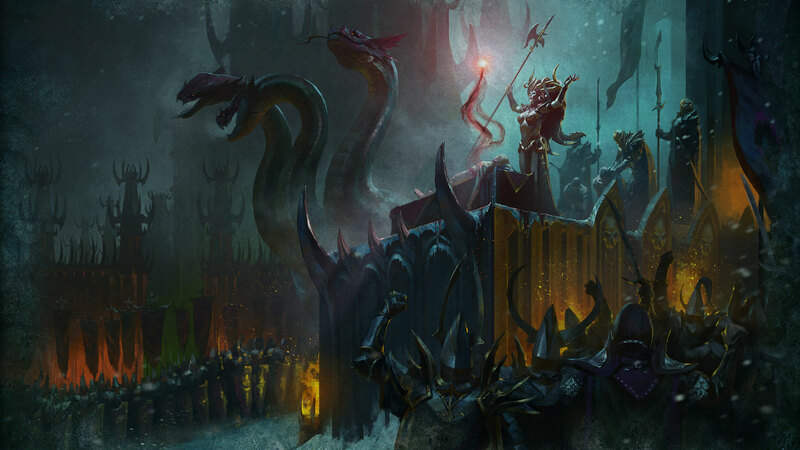 From their harsh homeland of Naggaroth, the Dark Elves are raiders who sail the seas in Black Arks, huge floating fortresses. They take whatever they want and gladly risk their lives for slaves and gold. Their armies are made up of highly-disciplined soldiers and War Hydras, furious monsters with many savage heads. The Skaven are large humanoid-rat creatures in thrall to the Great Horned Rat, a God who teaches that all things must rot! 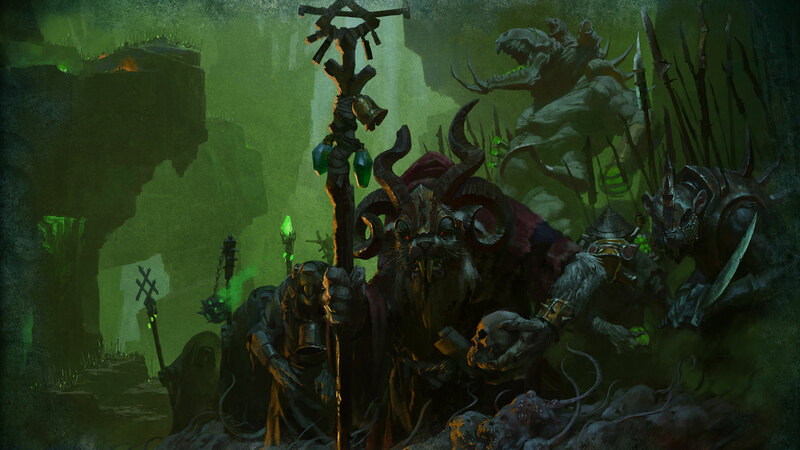 Skaven society is treacherous and celebrates those with the cunning to outmanoeuvre and kill friend and foe alike. They are nonetheless unified in a single cause: to conquer the surface world and bring about the Great Ascendancy, where they will swarm across the New World in a seething tide of violence and anarchy.